KidKraft Majestic Mansion Dollhouse with Furniture Only $148 + FREE Store Pick Up (Reg. $250)! 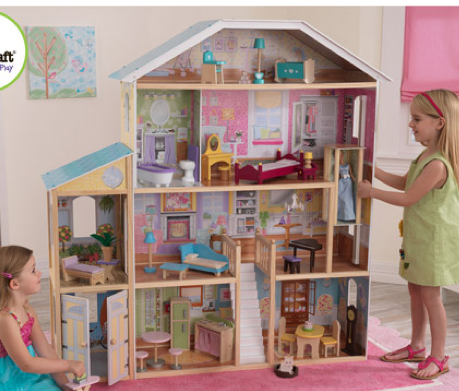 You are here: Home / Great Deals / KidKraft Majestic Mansion Dollhouse with Furniture Only $148 + FREE Store Pick Up (Reg. $250)! WOW! If you’re thinking about getting your daughter her very own dollhouse for an upcoming birthday, or even Christmas, check out this ROLLBACK deal! You can get this KidKraft Majestic Mansion Dollhouse with Furniture for only $148 + FREE Store Pick Up (Reg. $250)! This same dollhouse goes for $195 at Amazon.com!